Pack UHF VL21 Violons & Altos Prodipe Wireless System for VL21 Instrument Microphone. This pack includes VL21 Violin & Alto mic with the PRODIPE UHF Series 21 Lanen wireless mic. Prodipe launches for the instrumentists, a new professional wireless system to connect to Series 21 mics. This pack includes VL21 Violin & Alto mic with PRODIPE UHF Series 21 Lanen wireless mic. Now your instruments can really strut their stuff in UHF with absolutely no compromise on sound quality. "Whatever wireless system you're using, the most important aspects are the audio quality and the stability. We've made the UHF Series 21 system in metal to give you perfect insulation, and to make sure your UHF sound is the same as wired sound: dynamic, rich and balanced. The UHF wireless system uses an extremely stable phase-locked loop circuit and a dual antenna/dual receiver analogue wireless system (True Diversity) to prevent interference problems and guarantee signal integrity at all times. Now your instruments can really strut their stuff in UHF with absolutely no compromise on sound." The specially adapted impedance means that you can reproduce the high definition sound of a wired system in UHF. We also made sure that the electronics for the UHF side would prevent any interference, and that signal integrity would be optimized no matter what the conditions. Now your instruments can really strut their stuff in UHF with absolutely no compromise on sound quality. Automatically finds and sets available frequencies. Allows simultaneous use of 8 receivers and 8 transmitters. 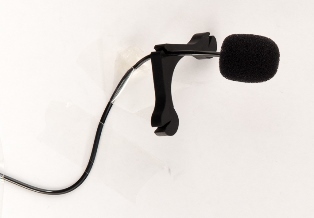 This piece of radio equipment is designed to be used at professional musical events or similar and for radio broadcasts. This equipment conforms to the requirements of the R&TTE 99/5/CE European Directive. The frequencies used are subject to license in Belgium and Germany. Before using the equipment, please act in accordance with the provisions of the law currently operating in your country. Die zahlreichen unterschiedlichen Größen bei den Geigen und Bratschen wurden bei der Entwicklung des Mikrofonhalters durch eine äußerst flexible Lösung, d. h. durch zwei bewegliche Klemmen, berücksichtigt. Im Hinblick auf die Richtcharakteristik haben wir uns aus verschiedenen Gründen für die Kugelcharakteristik entschieden: Mikrofonkapseln mit Nierencharakteristik könnten einen Störfaktor für die Musiker darstellen und sind ästhetisch nicht immer vertretbar (Image). Außerdem bietet eine Positionierung des Mikrofons ganz in der Nähe der Schallquelle, direkt unterhalb der Saiten, gegen die Decke des Instrumentes eine dynamischere Schallerfassung mit mehr Obertönen. Für eine Verwendung mit Kabel sind Befestigungsklemme(n) und XLR-Adapter im Lieferumfang enthalten (48 V-Phantomspeisung erforderlich). Dieses Mikrofon kann auch als UHF-Mikrofon, z.B. mit dem DSP - UHF Bodypack Instrument - verwendet werden, das speziell an die Impedanz der Mikrofonkapsel 21 Lanen angepasst wurde.